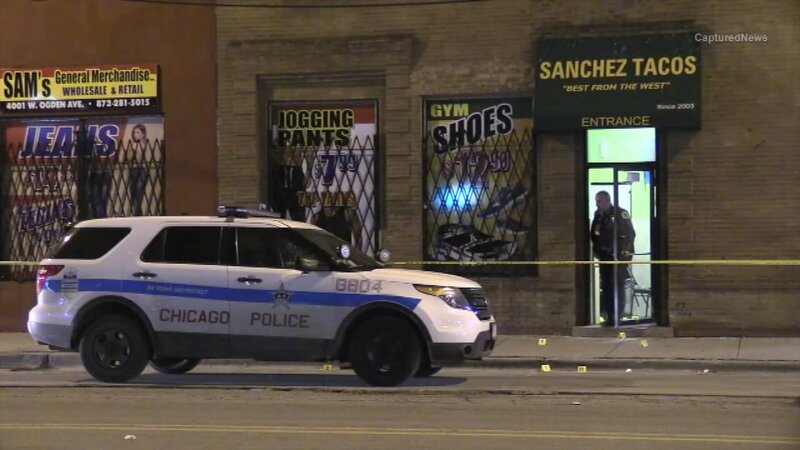 CHICAGO (WLS) -- A 17-year-old boy was critically wounded in a shooting inside a restaurant in the Little Village neighborhood Saturday morning. The shooting victim was involved in a fight with a group of guys inside Sanchez Tacos near Ogden Avenue and Pulaski Road at about 12:30 a.m., police said. One person pulled a gun and shot the victim multiple times and the shooter ran off with the rest of the group, police said. The victim was taken to Mt. Sinai Hospital in critical condition.